WASHINGTON, DC — In response to a series of cost overruns and other development issues for the F-35 fighter jet, President-elect Donald Trump said on Thursday he has asked Boeing to "price-out a comparable F-18 Super Hornet." Trump's request — announced via tweet — came a day after meeting separately with the CEOs from Lockheed Martin and Boeing to discuss bringing the "costs down" on the F-35 fifth-generation stealth jet and the next fleet of presidential aircraft. On December 12, Trump said the cost for Lockheed Martin's fifth-generation stealth F-35 Lightning II jet was also "out of control." The message sent Lockheed Martin's stock down from $251 at the opening bell to $245.50, before it rebounded to a little more than $253 a share. A Lockheed Martin Corp. F-35A jet flies during a training mission in Hill Air Force Base, Utah, U.S., on Friday, Oct. 21, 2016. Lockheed Martin Corp.'s accelerating revenue growth outlook is boosted by its recent portfolio moves, which are enabling the world's largest defense contractor to better capitalize on higher foreign demand. Rising F-35 production is a key driver, as deliveries are to double by 2019 vs. current levels. A fighter pilot secures the cockpit while crew members prepare the Lockheed Martin Corp. F-35A jet for a training flight in Hill Air Force Base, Utah, U.S., on Friday, Oct. 21, 2016. Lockheed Martin Corp.'s accelerating revenue growth outlook is boosted by its recent portfolio moves, which are enabling the world's largest defense contractor to better capitalize on higher foreign demand. Rising F-35 production is a key driver, as deliveries are to double by 2019 vs. current levels. A Lockheed Martin Corp. F-35 performs during its flying display on the second day of the Farnborough International Airshow 2016 in Farnborough, U.K., on Tuesday, July 12, 2016. The air show, a biannual showcase for the aviation industry, runs until July 17. "I appreciated the opportunity to discuss the importance of the F-35 program and the progress we've made in bringing the costs down," Hewson said in a statement. "The F-35 is a critical program to our national security, and I conveyed our continued commitment to delivering an affordable aircraft to our US military and our allies." The F-35 Lightning II, valued at an acquisition cost of $379 billion, has become one of the most challenged programs in the history of the Department of Defense. It has experienced setbacks that include faulty ejection seats, software delays, and helmet-display issues. "The problems on this program quite frankly in the past were very simple. We were overly optimistic in the technical risk in building this leading edge fighter and so we put unrealistic schedules and budgets together and then when we ran into problems we did not manage them very well," Lt. Gen. Chris Bogdan, head of the F-35 Joint Program Office, said during a briefing with reporterson Monday. Manufactured by Lockheed Martin in Fort Worth, Texas, the fifth-generation "jack of all trades" aircraft was developed in 2001 to replace the aging Navy, Marine Corps, and Air Force fleet. "The unparalleled situational awareness in a platform like the F-35 brings to the fight I think something that any opponent would regard as a force to be reckoned with," Lt. Gen. Dennis Luyt, commander of the Royal Netherlands Air Force, told Business Insider in a previous interview. 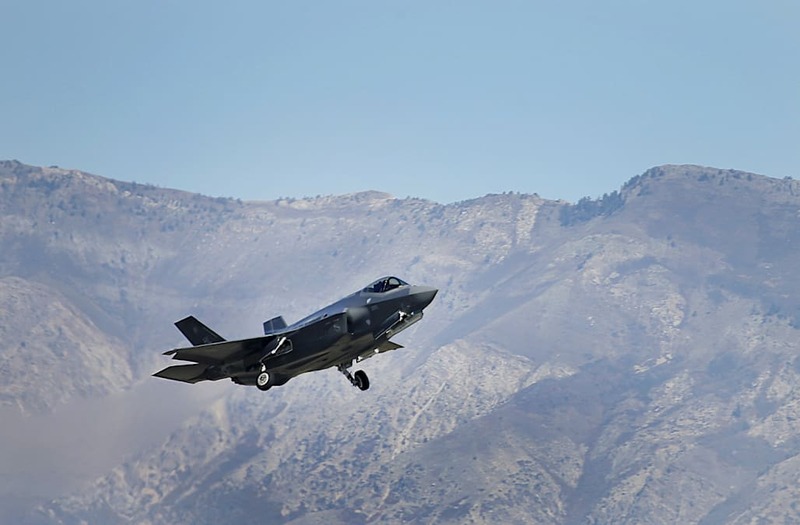 The F-35 is a needed aircraft to get us to where we need to be for the future of warfare," said US Air Force Maj. Will "D-Rail" Andreotta, the commander of the F-35A Lightning II Heritage Flight Team. "What it's giving to the pilots is everything I'm seeing on my screens added to that the helmet, the situational awareness, and the advanced avionics that we have on the aircraft is gonna allow us to fight wars in places that we have very limited capabilities in right now," Andreotta told Business Insider in a previous interview. And for an enemy to engage an F-35 would be like jumping into a boxing ring to "fight an invisible Muhammad Ali," as Gen. Tod Wolters, the commander of US Air Forces in Europe, told Business Insider. In short, the F-35 gives pilots the ability to see but not be seen. What's more, unlike any other fielded fighter jet, the F-35 can share what it sees in the battle space with counterparts, which creates a "family of systems." "Fifth-generation technology, it's no longer about a platform. It's about a family of systems, and it's about a network, and that's what gives us an asymmetric advantage," Gen. David Goldfein, the Air Force chief of staff, said during aPentagon briefing. Elaborating on the advantages, US Air Force Brig. Gen. Scott Pleus, the director of the F-35 integration office, said the aircraft was "one our adversaries should fear."